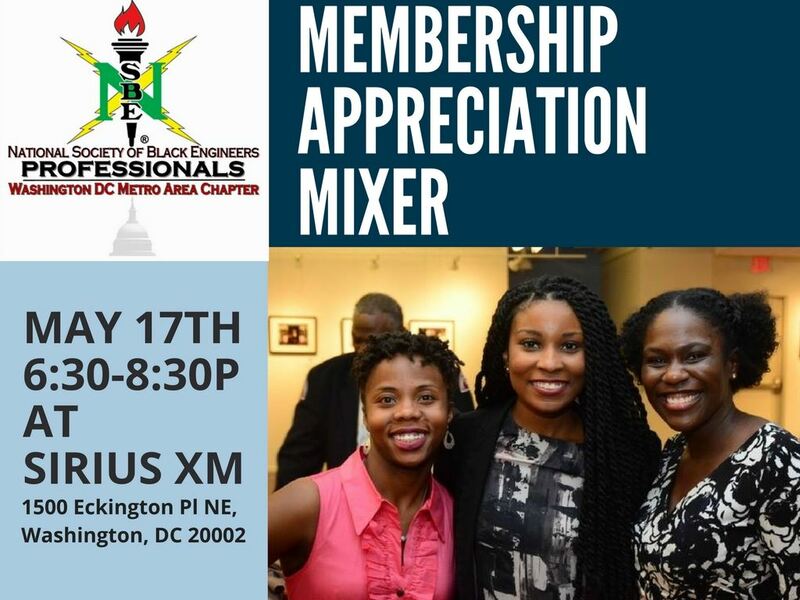 Join NSBE DC at our Membership Appreciation Mixer on Wednesday, May 17, 2017 at Sirius XM from 6:30pm-8:30pm! The Membership Appreciation event is FREE for NSBE DC members and $10 for non-members. The nearest Metro station is NoMa-Galludet on the Red Line if you take the Metro. If you are driving and have not yet registered, please send your name to president@nsbedc.org by 10 am tomorrow, as we need to submit your name to Sirius XM. Please register in advance (ideally by 3 pm tomorrow). If you have any issues with registration, please email secretary@nsbedc.org. See you there!